Conventional dieting wisdom from the last quarter-century has drilled into the heads of a generation that fat = bad. For most adults, it’s crossed our minds at least once to eliminate high fat foods from our diet — maybe at our doctor’s recommendation, or because an article in a health magazine convinced us it was in our own best interest. Fat has always been a controversial topic when it comes to diet, health and overall nutrition. It seems like fat goes through stages of being both maligned and exalted..and the truth is, it probably falls somewhere in the middle. 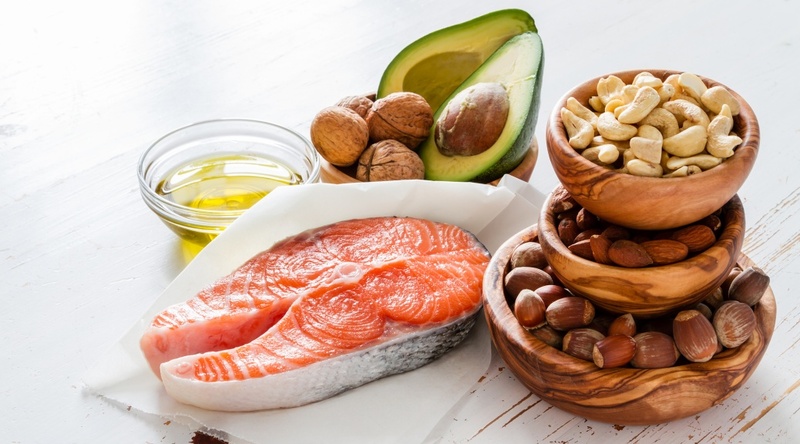 The longer answer to the question of fat’s role in your diet is less about high-fat versus low-fat, and more about quality, healthy fats versus unhealthy fats. Fat can be put in two basic categories: saturated and unsaturated fat. As the Mayo Clinic points out, saturated fats are solid at room temperature (like butter or scoop of coconut oil). 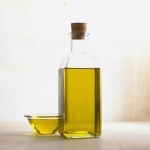 Unsaturated fats are in oil form (fluid) at room temperature (like olive and canola oils). Fats that are mostly saturated or that contain trans fat will appear solid at room temperature. This has earned them the nickname of “solid fats.” They can include beef and pork fat, butter, shortening and margarine. When people drastically cut fat from their diets, it usually gets replaced with more processed, simple carbohydrates — many of which are high in sugar. Eating a lot of these types of refined carbs—like white bread and white rice—can actually increase triglyceride levels, which can contribute to heart and blood vessel disease, according to Health.com. Polyunsaturated fats can be found in nuts, seeds, vegetable oils such as corn and safflower oil, and fatty fish. 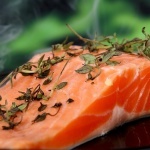 This category encompasses omega-3 and omega-6 fatty acids, which are known as essential fatty acids because our bodies don’t make them —we have to get them through the foods we consume. Monounsaturated fats raise HDL (your good cholesterol) and lower LDL (bad cholesterol). Sources of monounsaturated fats include canola, olive and peanut oil, nuts, seeds, and avocados. For snacking, using hummus (which is rich in olive oil) or guacamole instead of sour cream can give you a boost of monounsaturated fats. Peanut oil can also add great flavor when cooking, and avocado oil also supplies lutein, an antioxidant that improves eye health. Grapeseed oil is great for cooking something where you don’t want to taste the flavor of the oil itself. 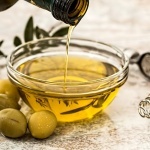 Grapeseed oil has a clean, light flavor, and is a good source of both vitamin E and oleic acid — a fat that may help reduce stroke risk by up to 73 percent. If you were wondering (or worrying): eating healthy fats won’t necessarily make you fat. While fat does pack more of a caloric punch per gram than carbohydrates and protein, fat also makes food more flavorful and keeps you feeling fuller quicker and for longer periods of time — which may mean that you don’t feel the need to snack as much or as often as before.